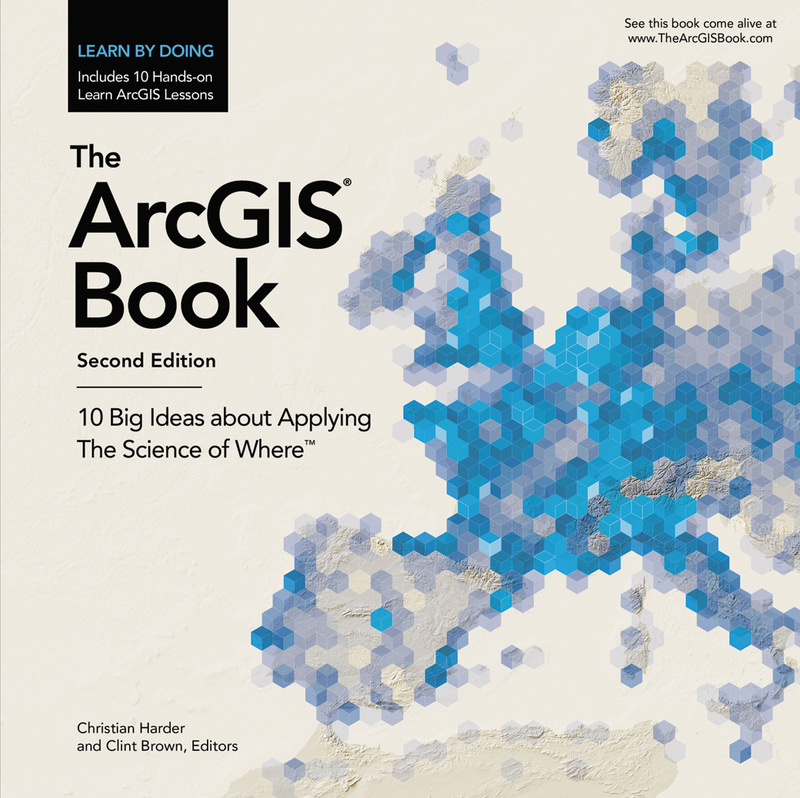 The ArcGIS Book: 10 Big Ideas about Applying The Science of Where, second edition, and its companion website offer all the information and interactive educational resources needed to apply the “where factor” to get deeper insights from data. Readers can dive in and start using Web GIS to create maps, work with apps, create and use authoritative data, and do spatial analysis. The new edition of The ArcGIS Book is geared toward three audiences: current ArcGIS users who want to do more work in the Web GIS realm using ArcGIS Online and ArcGIS Pro; web-savvy professionals who work in fields such as business, education, and science who are interested in analyzing and visualizing work-related data geographically; and people who understand the importance of geography and want to use Web GIS for projects. 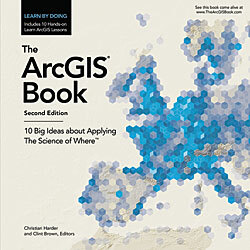 The ArcGIS Book: 10 Big Ideas about Applying The Science of Where explains how to use Esri’s ArcGIS platform to manage and analyze data and then visualize and share the information thus created in maps to get valuable location-based insights. Chapters cover web mapping, ready-to-use apps, story maps, 3D GIS, spatial analysis, imagery, the Internet of Things (IoT), and curated content from the Living Atlas of the World. More than just a text, this book gives readers things to do. The printed version and the interactive PDF versions of the book work with the companion website that provides 10 Learn ArcGIS lessons and links to 250 online maps and apps from Esri as well as links to the worldwide ArcGIS user community, software downloads, videos, case studies, Esri Story Maps apps, e-books, open data sites, and The Living Atlas of the World. Visit the book website to start exploring and learning using a free Learn ArcGIS account and evaluation copies of software to create story maps, mobile apps, web maps, and 3D scenes. The Learn ArcGIS lessons correspond with 10 big ideas about applying The Science of Where. They teach specific skills and concepts such as conducting demographic analysis, employing cartographic design techniques, and creating a 3D web scene. The lessons use scenarios to provide an understanding of how these ideas are applied in the real world. For example, the spatial analysis lesson teaches how to use ArcGIS Pro, the ArcGIS Spatial Analyst extension, and content from Living Atlas of the World to create a map of wildlife corridors for cougars trying to survive in urbanized Los Angeles metro area. Other lessons use spatial analysis to study traffic accidents or drought conditions in the American southwest or use 3D development scenarios in Portland, Oregon.